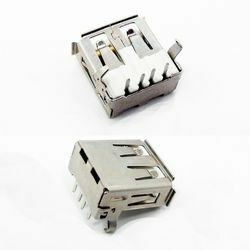 We are offering USB Female Connector to our clients. - Contact resistance : 50M ohm max. Being a well-distinguished company in the market, we are into offering I Phone 2 in 1 Type C Converter. We are a leading supplier of USB Female 'A' Type Right Angle.